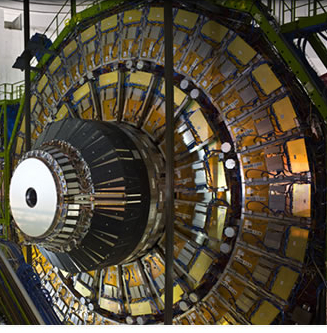 A detailed explanation of the CMS model (and comparisons of the model to the actual CMS detector) may be found in this .pdf document . 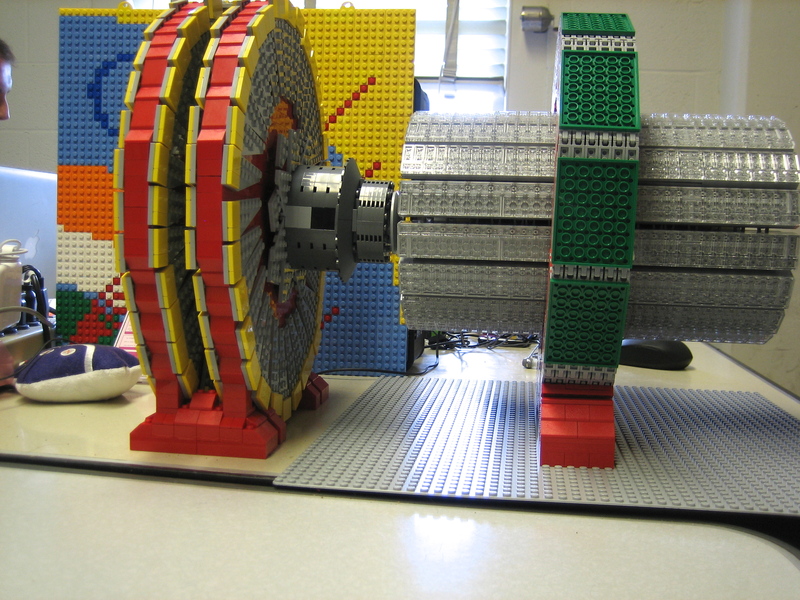 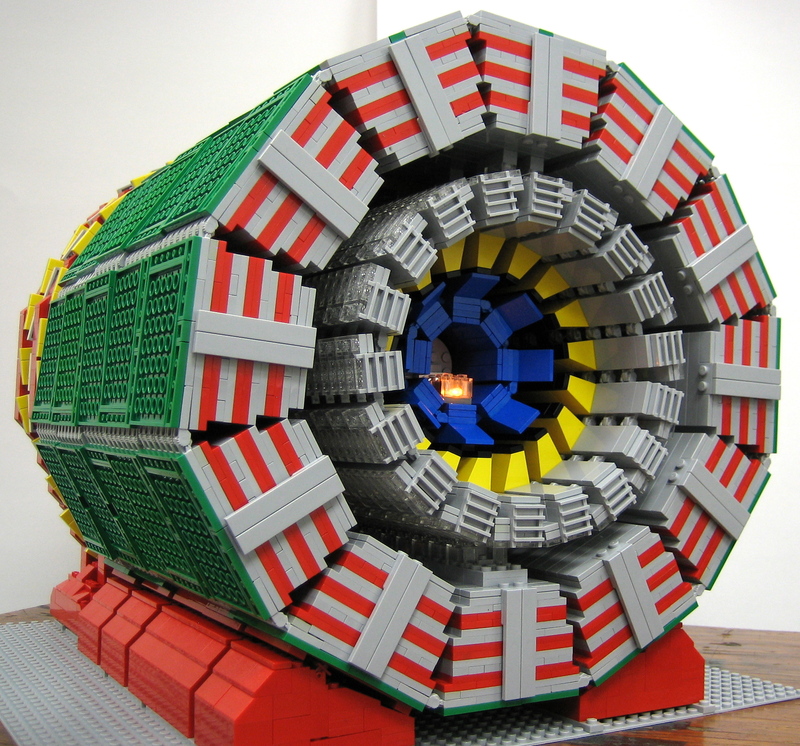 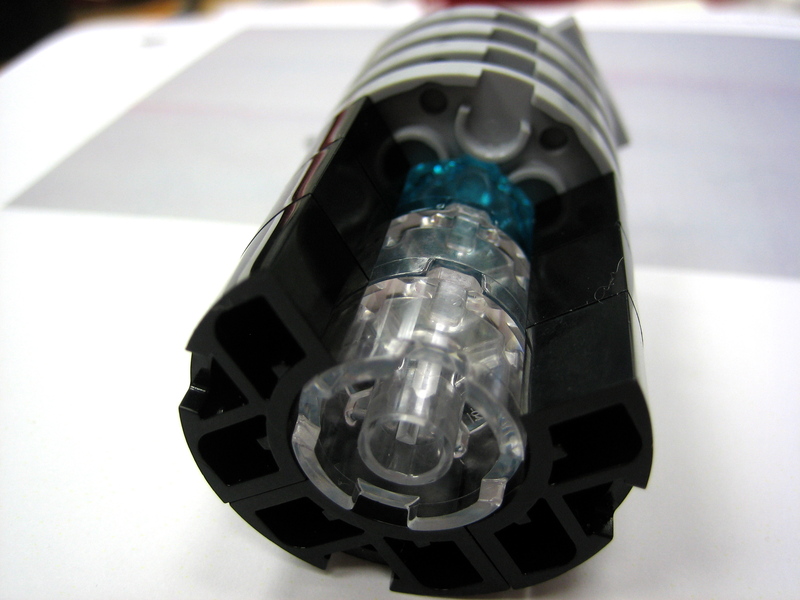 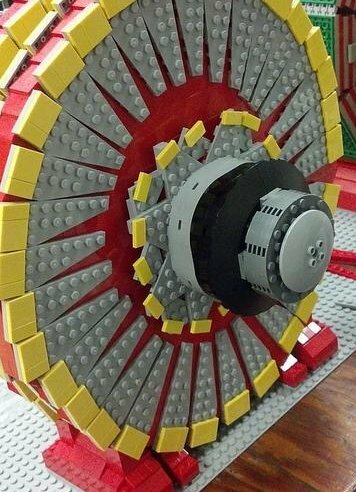 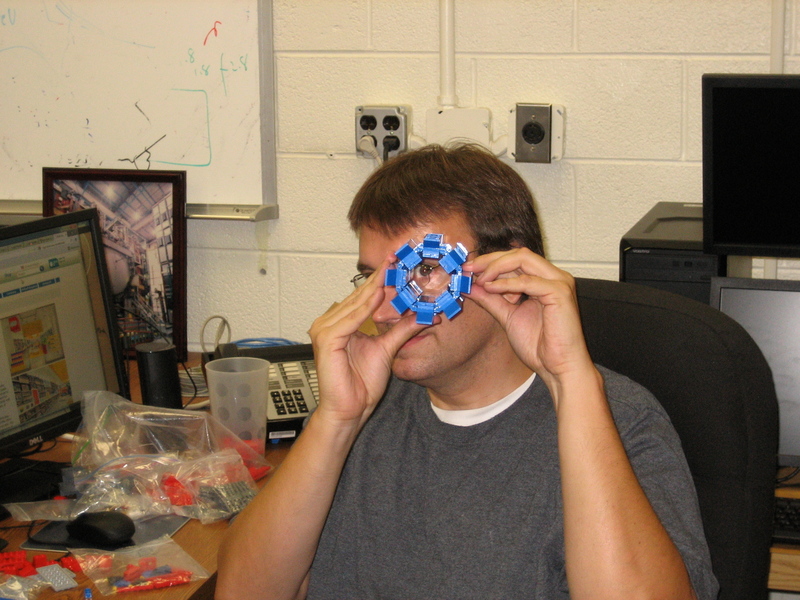 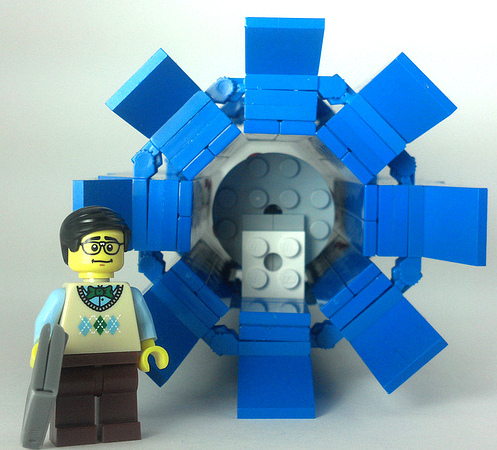 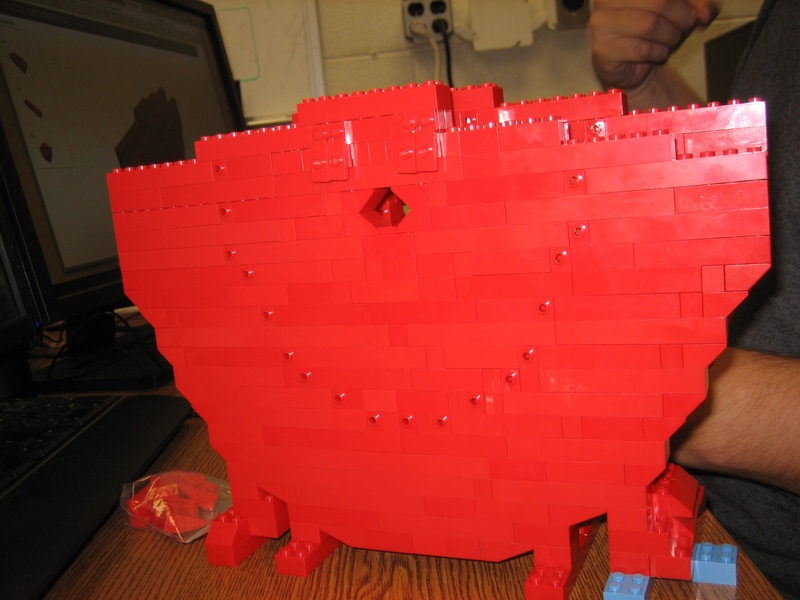 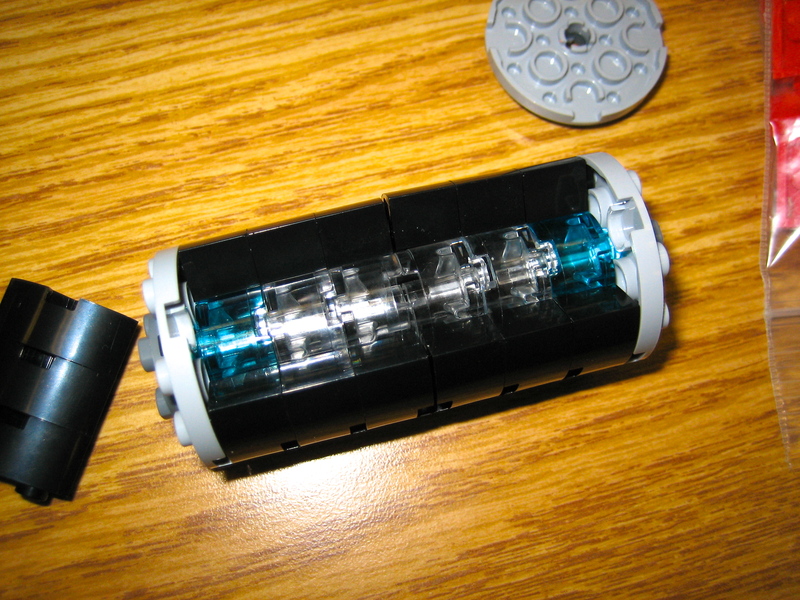 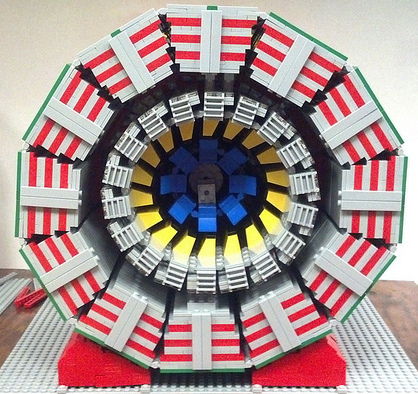 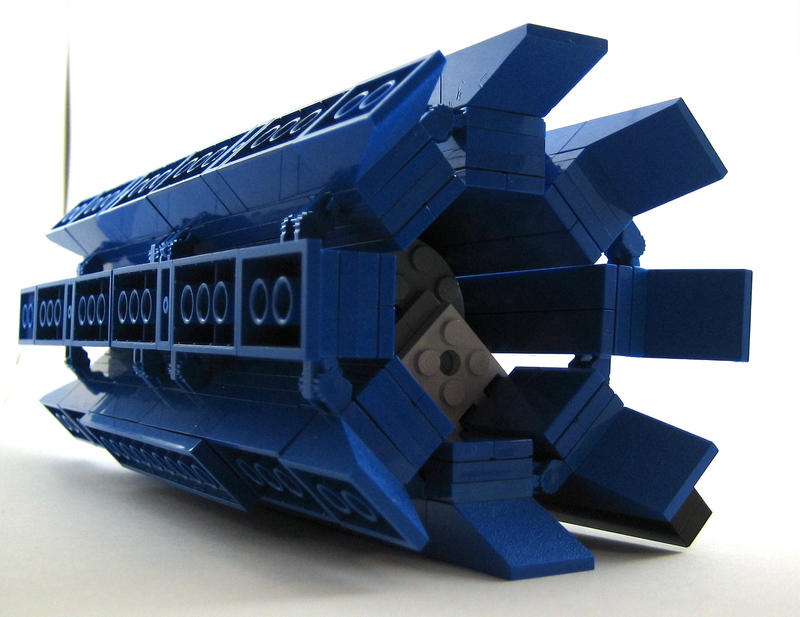 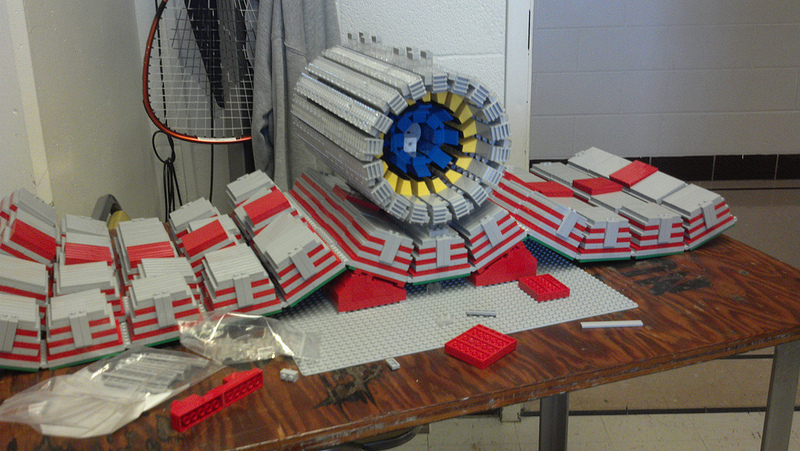 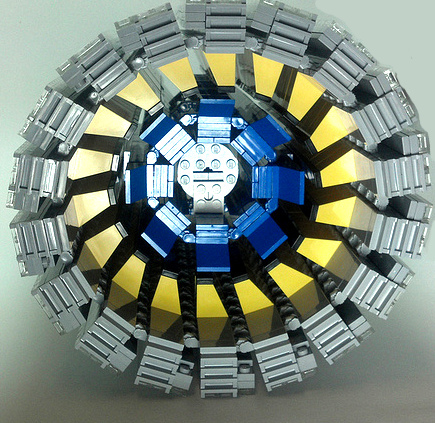 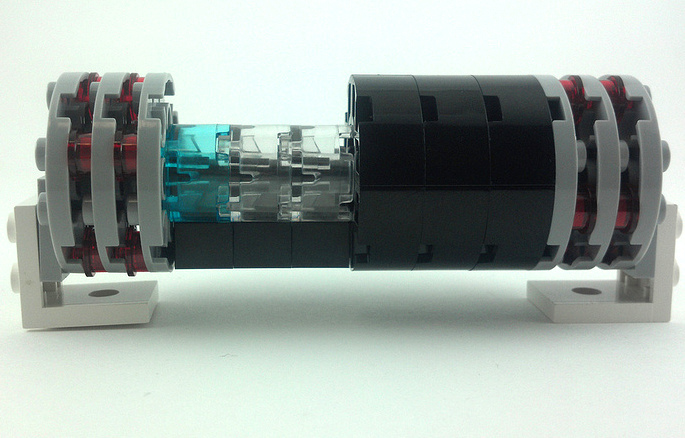 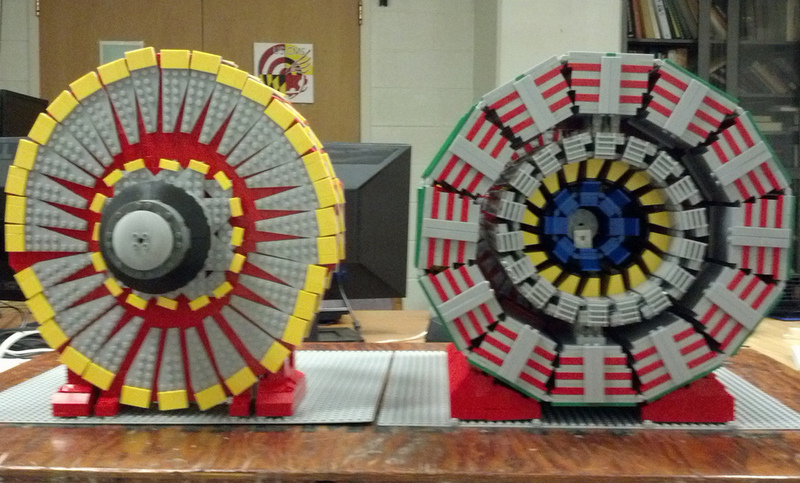 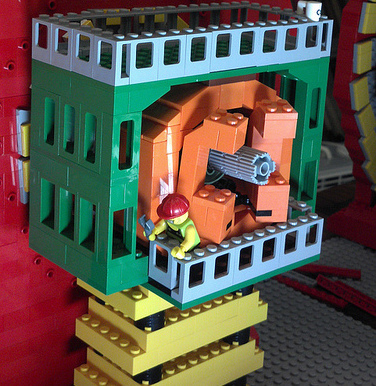 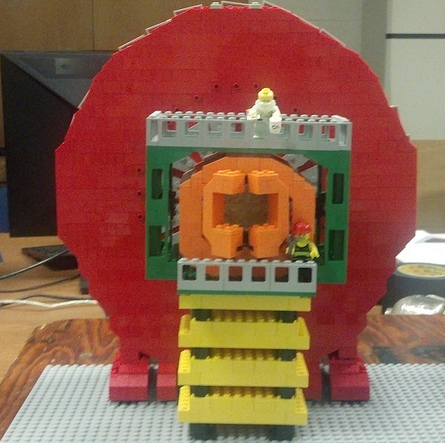 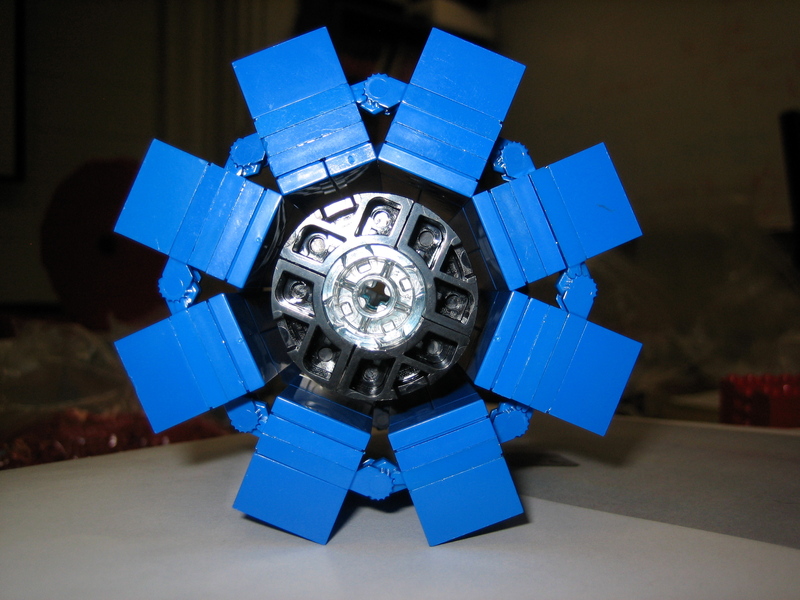 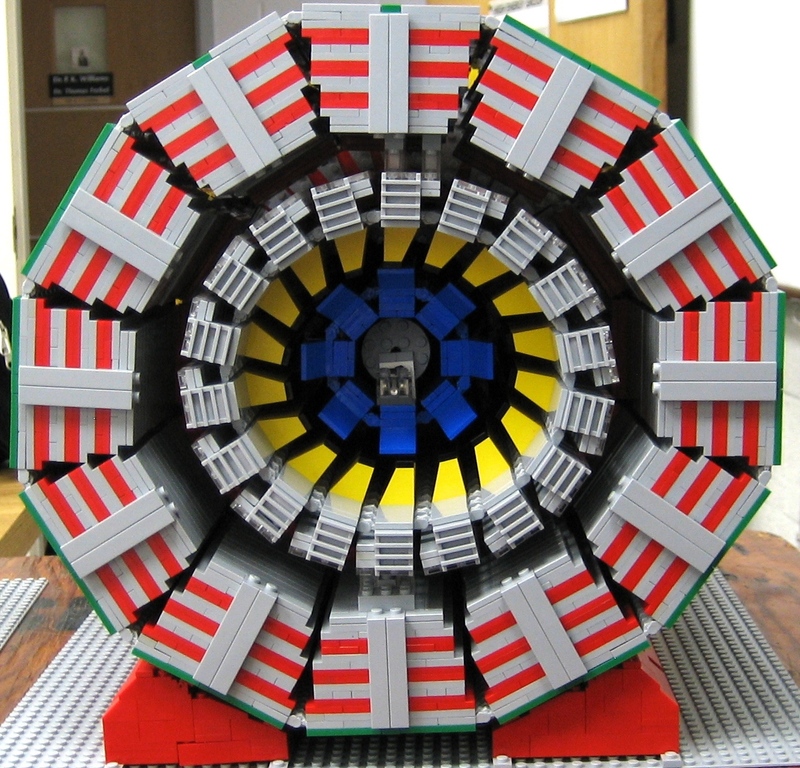 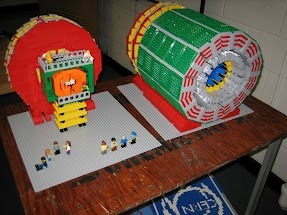 This is just over half the size of the ATLAS model, even though the CMS model uses more LEGO®pieces. 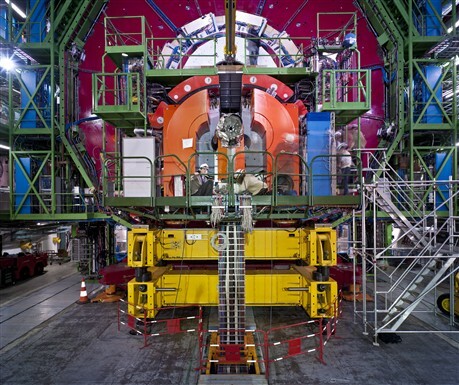 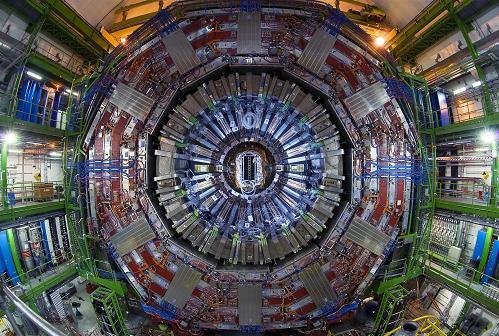 Left: one endcap (calorimeters + muon detectors) of CMS. 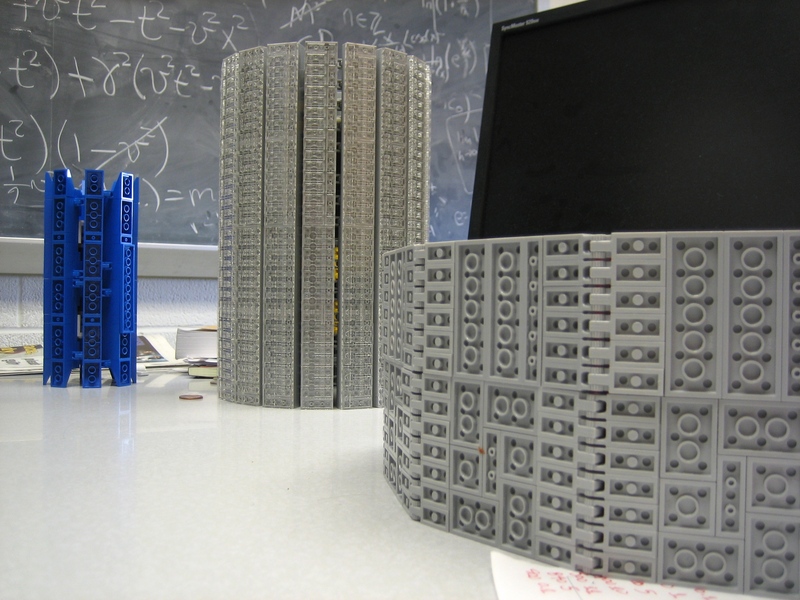 (right-hand picture from this site).